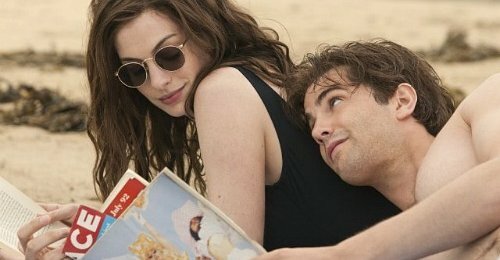 One Day, based on a best-selling romantic novel by David Nicholls, is a dreadfully dull film that’s been adapted for the screen by the author himself!.The problem with the film is that despite rambling on for over two hours, it never really tells us enough about either of the protagonists, and as a result it’s hard to care for them. Dex, in particular, comes off as selfish and obnoxious, and he’s very hard to like, much less understand.The film feels repetitive and tiring, and although Anne Hathaway has a charming presence,I’m going with two out of five for One Day. What a misleading title that is… One Day seems to go on for days! All it takes for the duo — Emma and Dexter — to realise that they are still on same ground — something they call grounded love — is one single day, July 15. But then there are many July 15s in here before Emma and Dexter realise how much they are similar to each other. Just the place we see Anne and Jim go through a hue of emotions — right from marriage, success, rejection, failure, friendship, confusion, anger…. Just the reason why this one makes for a watch.